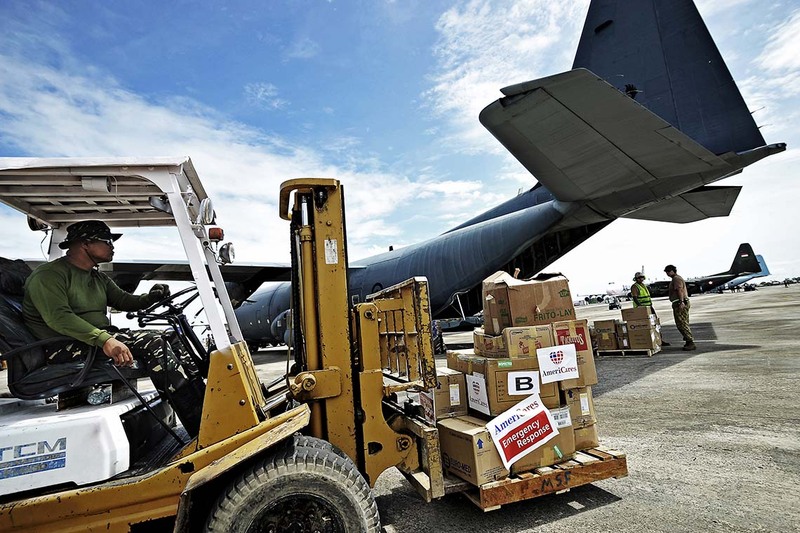 111713 AmeriCares in the Philippines after Typhoon Haiyan: AmeriCares Emergency Response Team and supplied meds. depart from Cebu bound for the storm ravaged Island of Guiuan, Philippines. Photographs by Matthew McDermott-917.653.6707.